Liverpool waterfront provided the spectacular venue for this year’s Allergy and Free From Show North last weekend. The day started with an ungodly 6am alarm. I wanted to get up and drive over to Liverpool in time for the opening of the show at 10am. This was partly because I’d heard it was usually quieter first thing but mainly because we were also squeezing in a trip to Goodison Park for the Everton game in the afternoon so knew we’d have to leave the show at around 2pm. Thankfully nobody else was stupid enough to be up and on the motorway by 8am so the journey was quick. We narrowly managed to avoid being blown into the River Mersey by the wind and made our way in to the exhibition centre. 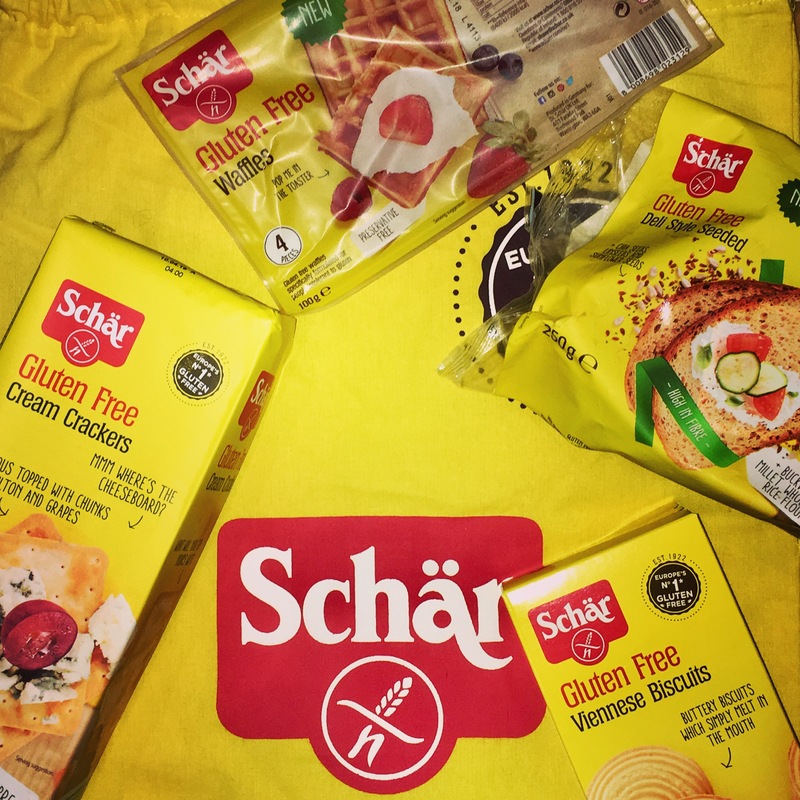 Schär were the main sponsors of the event and we were greeted on the way in by one of their team handing out cute drawstring bags containing a sample of their Deli Style Seeded bread and a load of vouchers. 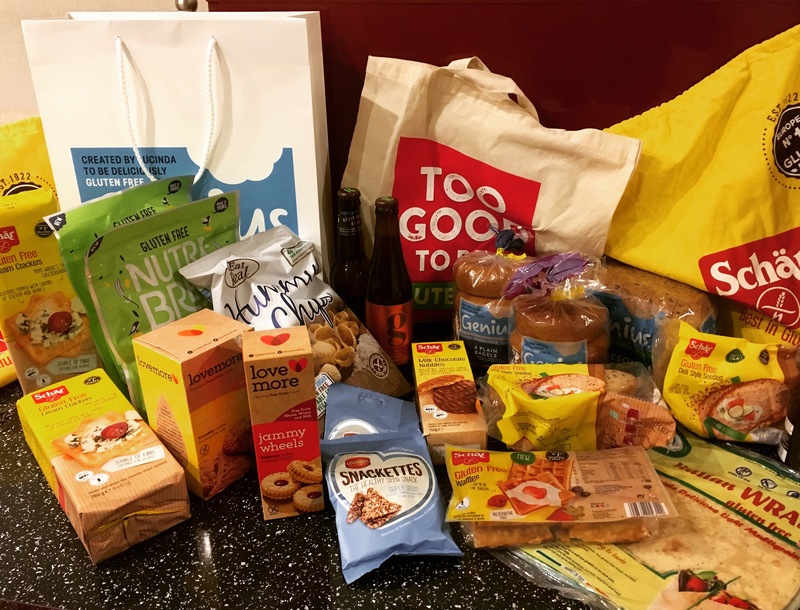 Also at the show every guest gets a show bag once inside containing many more freebies including Schär cream crackers, Nutri-Brex granola, Linwoods Snackettes, Seabrooks crisps and a Sweet Freedom Choc Pot. As it seemed like many days had passed since breakfast we headed straight to the Schär stand where rumour had it there were waffles on the go. We weren’t disappointed as after a short queue we were soon tucking into free waffles with a choice of topping (I went for chocolate, naturally). I’d not tried any before but they were super nice and I even managed to blag a free pack to take home as reward for posing for a cringey photograph. Bellies full of waffley goodness we then wandered around to see what the rest of the show had to offer. It turned out what was on offer was an insane amount of free samples from a quite ridiculous number of gluten free brands. I’d died and gone to free from heaven! I actually found the amount on offer quite overwhelming, it was so strange to see so much food that I could eat. 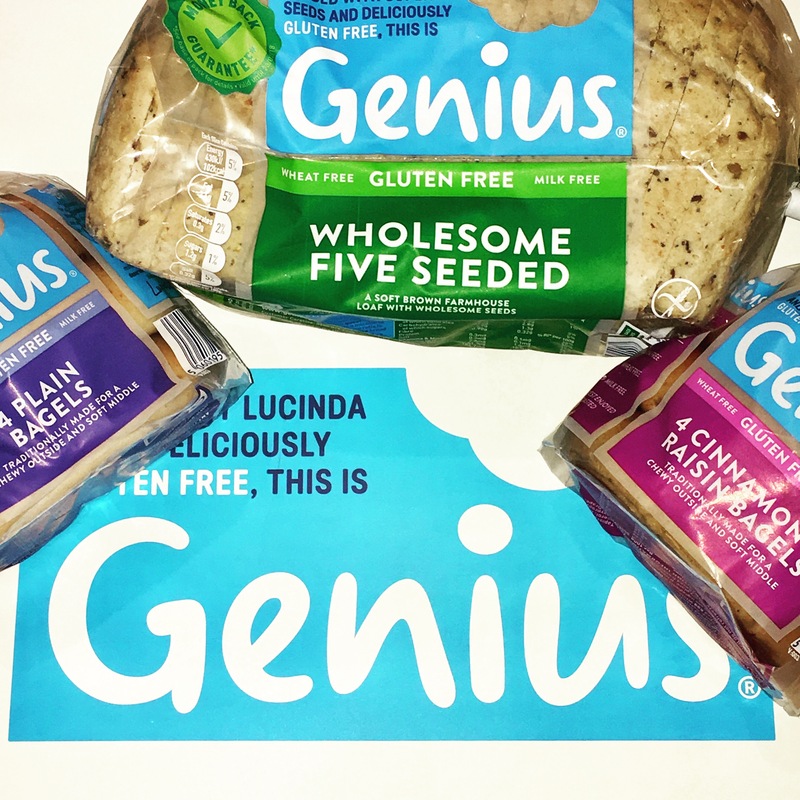 So Genius are pretty much the kings of the gluten free bread aisle, and they had a suitably regal presence at the show. They had a big central area of the exhibition centre with samples of all of their products. They also had an amazing 3 for £5 offer across all products so I couldn’t resist picking up some bargains. I went for one of my favourite products (Cinnamon and Raisin Bagels) and two I’d not tried before! The Plain Bagels are lovely and I’m looking forward to trying the Wholesome Five Seeded loaf which is packed full of goodness. If Genius are the kings of gluten free bread then Schär are basically the grand poobahs of free from. As they were sponsoring the show they also had a large area of the hall including their big yellow bus which was serving gluten free sausage butties for lunch. They were only charging a £1 donation to Alder Hey Children’s Hospital so it would’ve been rude not to get stuck in! I also got some tasty freebies to take home. Nutri-Brex are a brand I was vaguely aware of having seen their gluten free version of Weetabix in the supermarkets before. I’ll be honest having been coeliac since I was a baby Weetabix are one food I’ve not been particularly jealous about not being able to eat. However at the show I tried a sample of Nutri-Brex and it was pretty good! But it was their granola I was really interested in. Regular viewers will know that I’m slightly obsessed with granola and am always on the lookout for low sugar options. 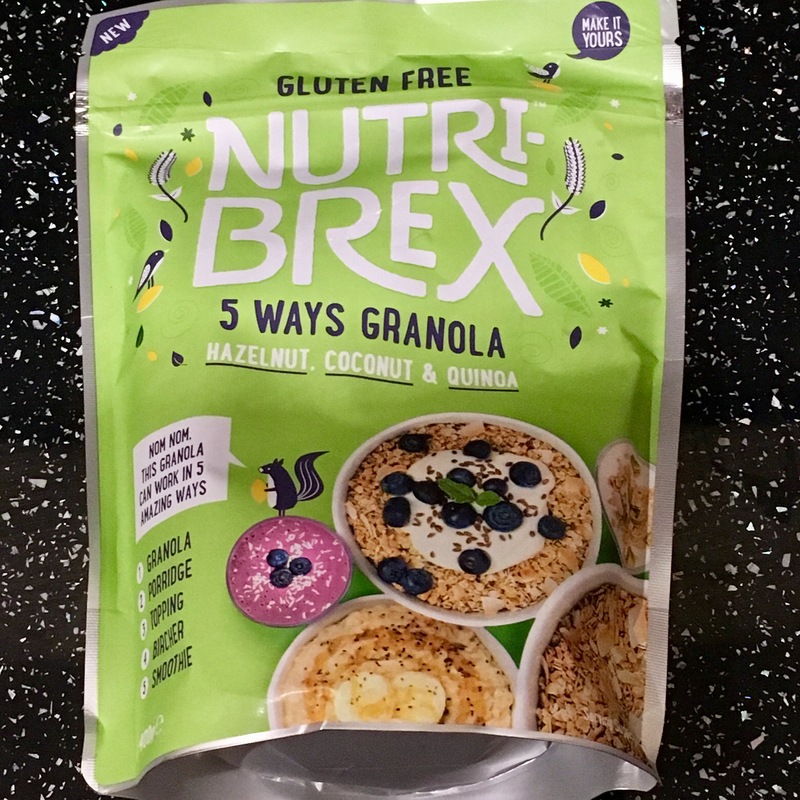 Nutri-Brex’s 5 ways granola only contains 7g of sugar per 100g which is about the lowest I’ve seen. I’m happy to report that it doesn’t impact on the taste and this hazelnut, coconut and quinoa version is ace! One brand that I’d never heard of before was Taste Italia. 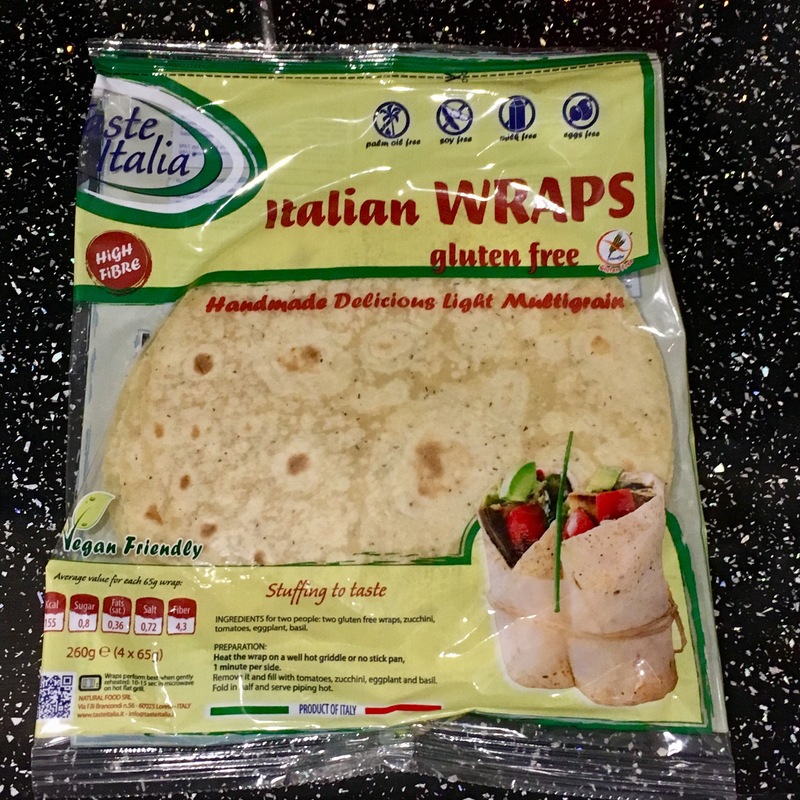 They were at the show with their range of gluten free gnocchi, pesto, pasta and wraps. I picked up a pack of the latter to try as they looked amazing. I can’t wait to cook up some fajitas with them! The team were all really nice and talked us through the range while providing us with many free samples. 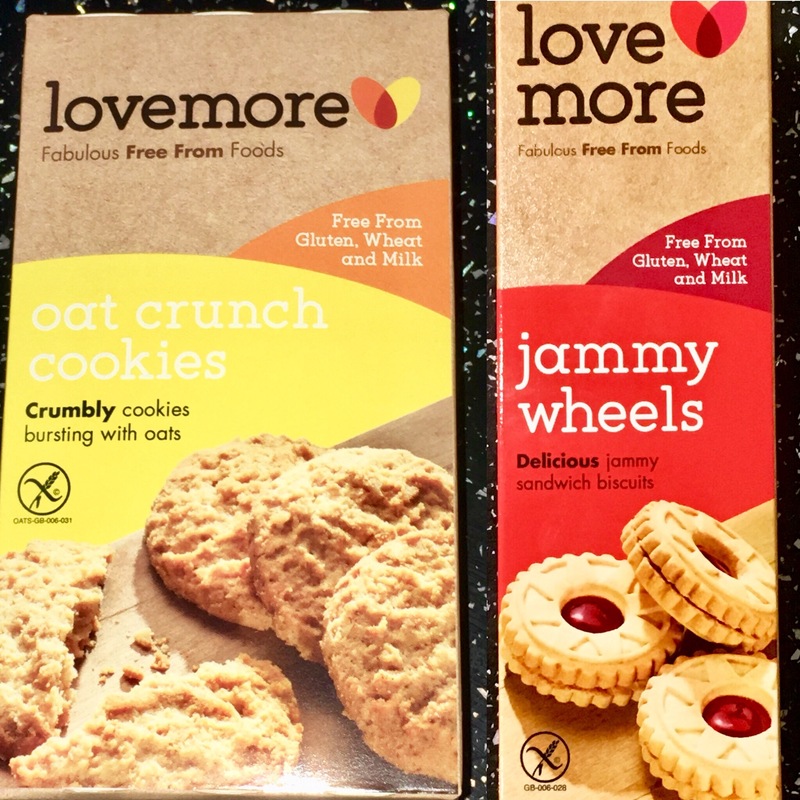 Lovemore only had quite a small stand at the show, but it was certainly one of the most popular. We swung by not long before we left and they’d almost sold out of products! Thankfully they still had a few packs of delicious biscuits left so I grabbed a pack of Jammy Wheels and Oat Crunch Cookies. The Jammy Wheels certainly went down well as we’d almost demolished the whole box before leaving Liverpool. I’d seen this brand before in supermarkets but never tried them. The show provided a great opportunity to try samples of all of their range of healthy gluten free crisps. 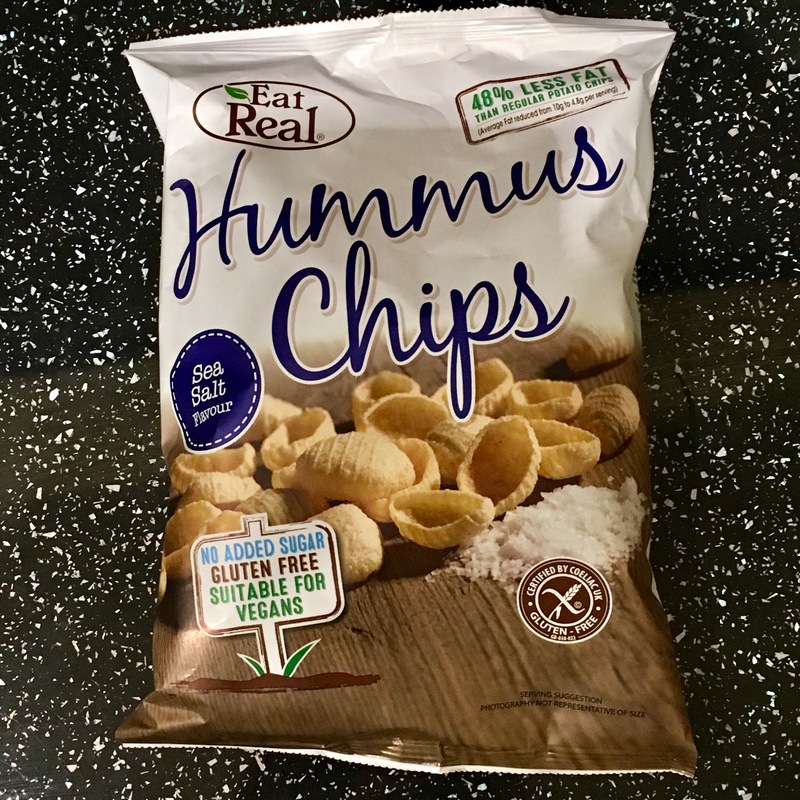 My favourites were these Hummus Chips so I couldn’t resist taking home a couple of bags to take advantage of the show prices! Way too soon it was time to leave the show and go to see the mighty Everton come back from two goals down to win 3-2 (get in!). The show was an amazing experience and I’d strongly recommend it to all of my fellow coeliacs and gluten free folk. I can’t wait to go down to London for The Allergy + Free From Show next July as apparently it’s even bigger and better than the North show!